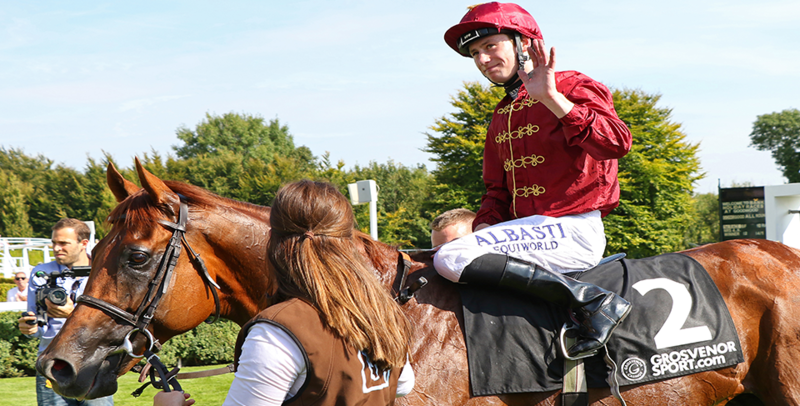 Oisin Murphy will bid to cap his fantastic season with a first success on QIPCO British Champions Day. The 23-year-old has ridden eight Group 1 winners all over the world this year – including in four QIPCO British Champions Series races – and has finished runner-up to Silvestre de Sousa in the Stobart Flat Jockeys’ Championship. Murphy has three superb rides on the day in the shape of Roaring Lion (QIPCO-sponsored Queen Elizabeth II Stakes), The Tin Man (QIPCO British Champions Sprint Stakes) and South Seas (QIPCO-sponsored Balmoral Handicap). Murphy and Roaring Lion have combined to win the Betfred Dante Stakes, Coral-Eclipse, Juddmonte International and QIPCO Irish Champion Stakes this summer and it is little wonder he holds the three-year-old grey in great esteem. “He’s an exceptional horse and every time I ride him I need to keep that in mind. Horses like him are so hard to get your hands on and he will have no trouble coming back in trip,” Murphy said. “If you roll back the clock to the QIPCO 2000 Guineas, clearly he’s proven now that he’s a much better horse than Saxon Warrior. If you could run the Guineas again tomorrow morning, at the stage he is now, I think he would win. He’s a different horse now to what he was in May. Murphy guided The Tin Man to victory in the 32Red Sprint Cup at Haydock last month and will be reunited with him in the QIPCO British Champions Sprint Stakes. “I learnt a fair bit about him at Haydock, where he was very impressive,” he said. “He was sleepy going to post – like Roaring Lion, not switched on – but if you light him up then he takes off.